Bridge Magazine: Why pay for what’s free? > CLICK HERE TO MAKE A DONATION TODAY! Each week, Bridge Magazine emails you some of Michigan’s most award-winning journalism. Right now, it’s Bridge’s annual spring fund drive. Please help Bridge today with an online donation. It takes just a moment. Inspiration. Ramone Williams is a Michigan college student with an honor roll grade point average. He’s also homeless, but never complains. Bridge readers were so inspired they instantly donated thousands of dollars to Ramone and services to help homeless college students like him. Bridge strives to inspire and inform readers every week through Michigan’s best journalism. Education is the future. And Bridge is the future of education reporting.Perhaps you read Bridge’s Cultural Timeline explaining how college costs have skyrocketed? Or the in-depth portrait of teacher William Weir’s classroom, deemed to be the very best writing in any Michigan publication in 2015? Or our profiles of Michigan’s Academic State Champs? Or our rankings of how Michigan college students do after they graduate? Or our tips for how students can finish college applications on time? 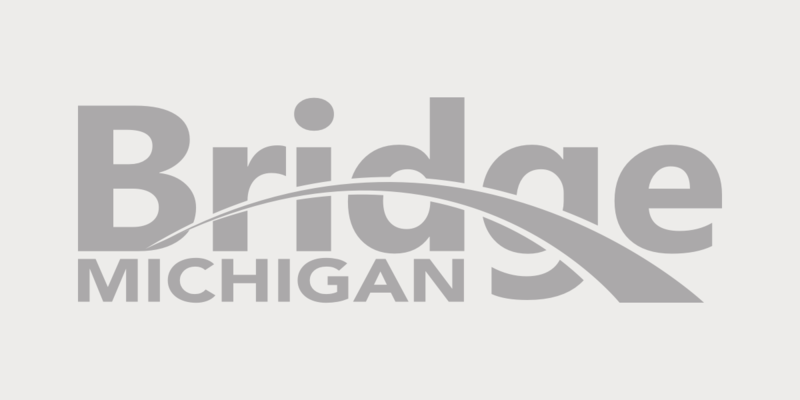 If you care about education in Michigan, Bridge is your news source. Keen-eyed watchdogging. When the Flint water crisis exploded, even government investigators turned to Bridge’s “Disaster Day by Day” timelineas a definitive source to understand what happened. When the bill comes due to fix Michigan’s aging infrastructure, Bridge readers will have already seen it coming. When politicians tell little white lies on the Michigan campaign trail, Bridge’s “Michigan Truth Squad” helps voters sift fact from fiction. Bridge belongs to you – the readers. You have a clear voice in Bridge. Each week, our Sunday Brunch section features guest columns from all political perspectives and all walks of life. And every day, the Bridge staff welcomes your questions, comments tips and ideas via email. Indeed, your input helps drive what we cover. Instant return on your investment. With your help, Bridge Magazine will keep arriving in your in box four times a week… Monday business coverage… Tuesday and Thursday statewide issues coverage… And commentary and convenient week-in-review summary each Sundaymorning. And… 6. Because a thriving free press is not free. Traditional newspaper newsrooms are decimated by staff and financial cutbacks. That’s why we created Bridge – as a public service to help provide the news and analysis readers and leaders need to navigate these complex times. It’s why readers are turning to new news sources in incredible numbers – more than 700,000 people read Bridge in 2015. You tell us you love us – nine out of ten readers surveyed tell us Bridge is the best news source in Michigan. You tell us you want us to keep growing. You tell us to keep bringing you more news and insights. But in-depth journalism takes time, and money. We’ve assembled a team of professional journalists with nearly 200 years of experience covering the people, issues, and politics of Michigan. We simply need your help to deliver. Bridge is 100 percent paid for by philanthropy, including the volunteer donations of hundreds of readers just like you. So, Bridge is free. But our work is not. Can you help us keep delivering for you? It just takes a moment. How much is it worth to you to stay informed on statewide affairs? You set the price of Bridge - $25, $50, or $100 truly makes a huge difference. Special Offer: Readers who contribute $10 per month via credit card or $200 or more total in 2016 will receive a complimentary copy of “Poison on Tap,” Bridge’s first-ever book, a collection of our coverage of the Flint water crisis explaining how and why it happened and what it means for the whole state. Please consider helping Bridge today!